Ann Davis, André Desvallées, François Mairesse (ed. 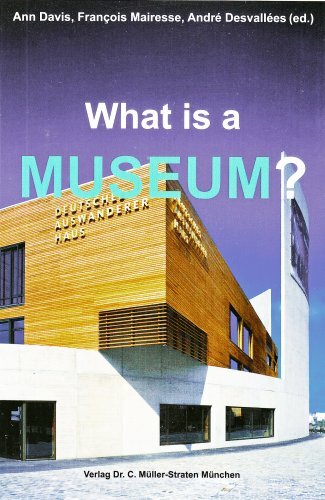 ): What is a Museum? This book addresses administrators and politicians, museum professionals and museologists likewise. It reflects the so-called ICOM "definition" of museum in a new light and gives an impression how visitors meet with museums. Part II: Does the Calgary Declaration Redefine Museum? About ca. 70 black & white pictures, about 250 pages DIN A5.